Available Colors: Translucent: Red, Blue. Solid: White. Customized 6" Plastic decorated Ruler Item #HT-1636 (Minimum Order: 250). 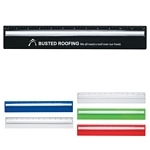 Promotional Rulers like the 6" Plastic decorated Ruler can be personalized with your business logo and with No Setup Fees. Customized 3-in-1 Letter Ruler Letter Opener Item #HT-1637 is Promotional with your business logo for advertising to clients. Customized 3-in-1 Letter Ruler Letter Opener and other Promotional Letter Openers are decorated with No Setup Fees. Customized 4-in-1 Desk Caddy Set Item #HT-1641 is Promotional with your business logo for advertising to clients. 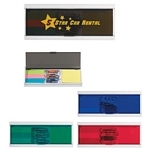 Customized 4-in-1 Desk Caddy Set and other Promotional Desk Sets are decorated with No Setup Fees. 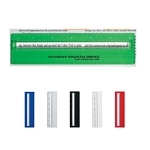 Customized Plastic 6" Ruler with Magnifying Glass Item #HT-1639 (Minimum Order: 100). 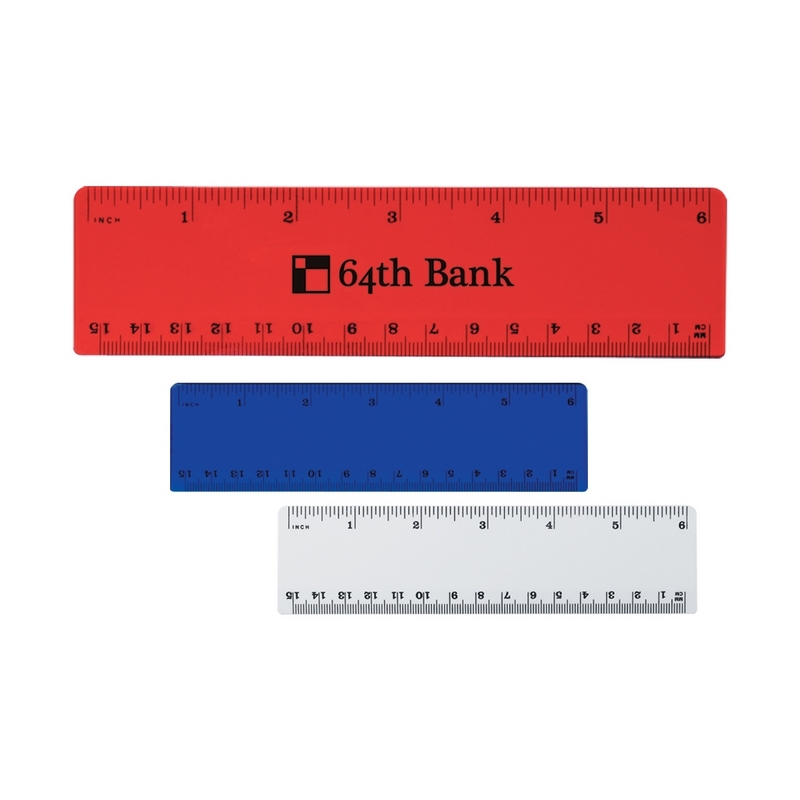 Promotional Rulers like the Plastic 6" Ruler with Magnifying Glass can be personalized with your business logo and with No Setup Fees. 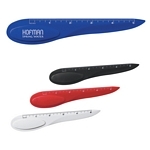 Customized Plastic 12" Ruler with Magnifying Glass Item #HT-1640 (Minimum Order: 100). Promotional Rulers like the Plastic 12" Ruler with Magnifying Glass can be personalized with your business logo and with No Setup Fees.